There are three main beach areas in the community. They are located at the ends of Shoreside Trail, Circle Road, and Twin Beach. There are also over 20 walking access points to the water that belong to the community. 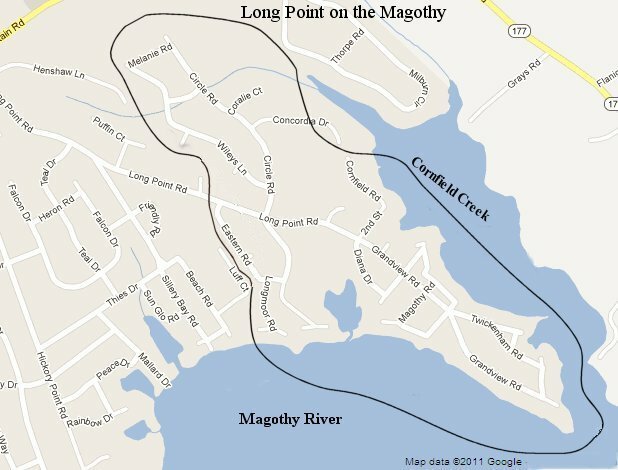 Some of them include those found at both ends of Magothy Road, three on Grandview Rd (next to #1679, next to #1689, and across from #1720), one at the intersection of Twickenham and Gibson Roads, one at the Boat Ramp by Twin Beach and Cornfield Roads, and one on Pike Road.